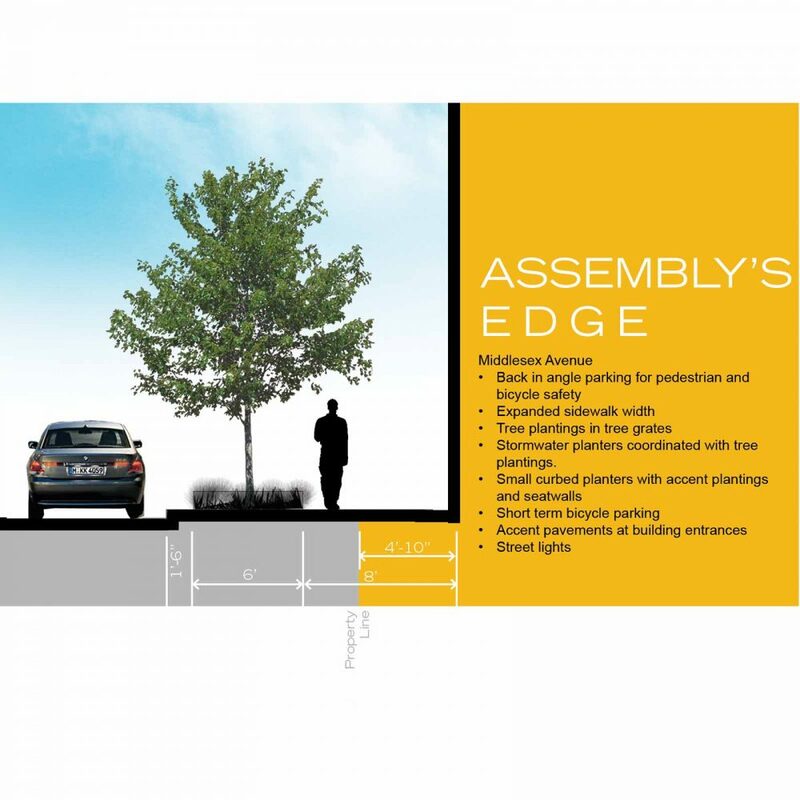 Verdant Landscape Architecture is working with Khalsa Design, and others on this Planned Unit Development in the Assembly Square mixed use district of Somerville, Massachusetts. One of the key program elements is an urban plaza between the 25 story hotel and 28 story residential tower. Streetscape design includes stormwater planters and outdoor seating and amenity space associated with ground floor commercial development. 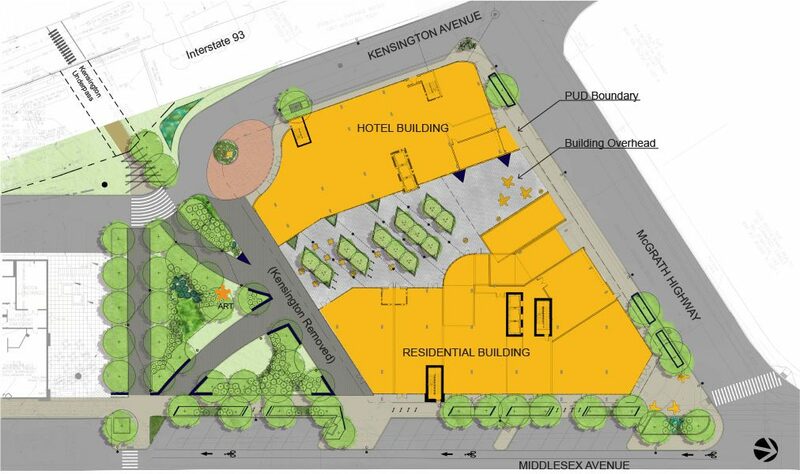 Additionally, a major public benefit of this proposed development will be the transformation of a portion of Kensington Street into a pedestrian street and the development of an urban park at the western end of the pedestrian corridor connecting the development to the Orange Line station. 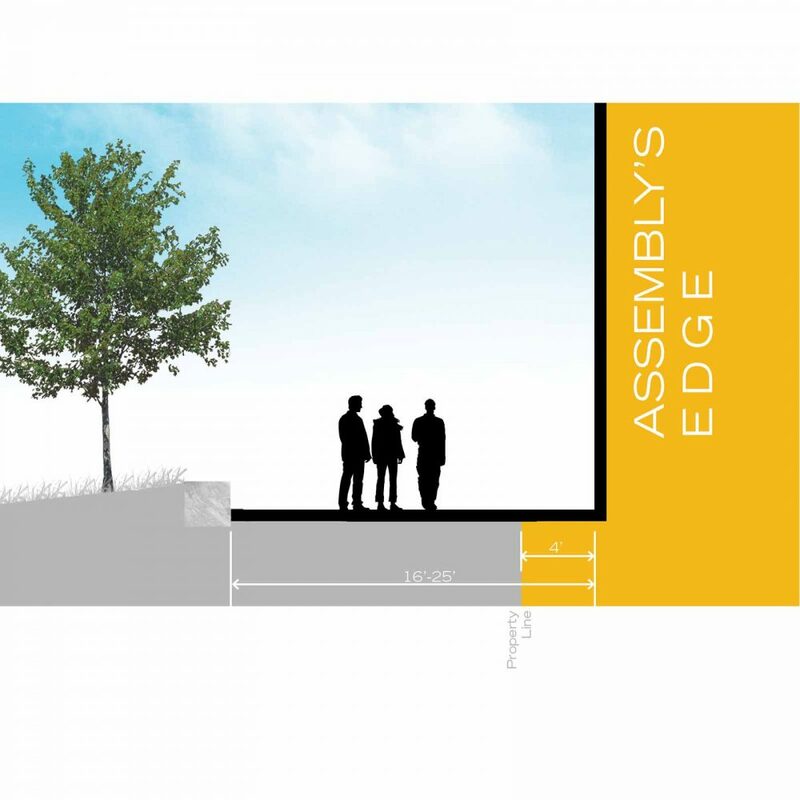 The project has been approved by the City of Somerville and will enter Design Development in 2019.